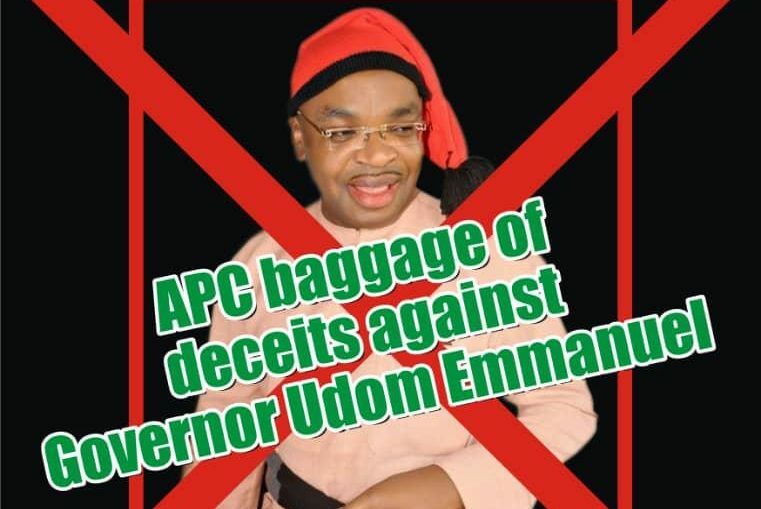 APC governorship flagbearer, Mr. Nsima Ekere, has taken delivery of a N20million propaganda material against Governor Udom Emmanuel. The booklet entitled “Endless Lies of a Deacon Governor”, was delivered to Ekere ahead of his campaign flag-off on Monday, January 21, 2019, when the materials will be distributed. Nsima Ekere who is said to have sponsored the hatchet publication through his security aide, Mr. Uyio Nathaniel, received 10,000 copies of the booklet as soon as he arrived Uyo on Sunday, 20th. Sources privy to the hatchet job which was contracted to some former aides to the former senate minority leader, Godswill Akpabio, was implemented in connivance with Etim Etime, Inemesit Inah, Udo Silas, Clement Ikpatt, Abasiandikan Nkono, Anietie Usen, Utibe Ukim, Udo Silas, Iboro Otongaran, N.T.A Efo and Attah Ikiddeh. 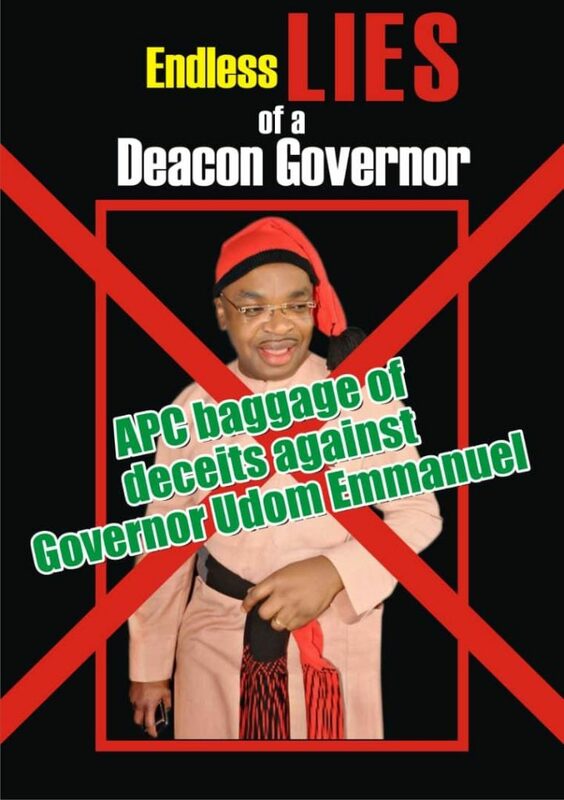 The 26 page booklet which is to serve as a propaganda tool to discredit Governor Udom Emmanuel, is filled with concocted lies.